Microsoft's content strategy for its Xbox One console has largely focused on hoping third-party publishers will create blockbuster exclusives for the device, and it's been fairly rough going ever since its 2013 release. Now, in an interview with Bloomberg, Xbox chief Phil Spencer claims Microsoft is planning on creating more of its own games, either with its existing studios or by acquiring new ones. 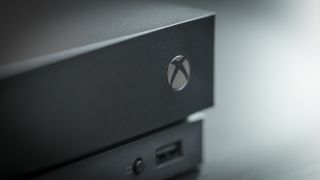 The timing is significant, considering the company's new Xbox One X console comes out November 7, and Microsoft is fond of calling it the "world's most powerful console". With Microsoft itself at the helm of some of the biggest games, it could really show off what the device is capable of. If it all goes well, this shift in focus could go a long way towards helping the Xbox put up a better fight against Sony's PlayStation 4 and the new Nintendo Switch console. As we've said in our guide to helping you choose between a PS4 or an Xbox One, the differences in game numbers and exclusives are stark. Both the PS4 and the Switch have impressive libraries of games that were made by the companies themselves. Nintendo, naturally, has long been known for its self-made titles that play to the strengths of new hardware, and the relatively newborn Switch has already seen massive success with Nintendo-made titles like The Legend of Zelda: Breath of the Wild and Super Mario Odyssey. Sony Interactive Entertainment, meanwhile, has always produced great things for the PS4, including recent hits like Uncharted 4: A Thief's End and Horizon Zero Dawn. Microsoft previously enjoyed great success with its own titles from its Halo, Forza and Gears of War series. While it hasn't exactly abandoned those series – Forza Motorsport 7 came out last month and the real-time strategy game Halo Wars 2 launched earlier this year – the emphasis clearly isn't as strong as it used to be. In fact, Microsoft actually shuttered its well-known Lionhead Studios last year, as well as Denmark's Press Play. Is it worth paying extra for Dolby Vision?